Snow is definitely cold, but did you know it's also cool? 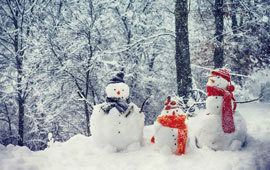 There are probably a few things about snow you didn't know - find out more on Kidzworld! Despite what you might think, snow is actually colorless, not white. 80% of all water on earth is frozen as ice or snow, and it accounts for 12% of the earth's surface. Deep snow sometimes appears blue - this is because layers of snow create a filter for the light, with more red light being absorbed than blue. Snow can be pink! Well not actually pink, but in high alpine areas there is a fresh water red algae that can tint it pink. Ready for a snowball fight? An igloo can be 100 degrees warmer inside than out, its mostly body heat, and as any hibernating animal can tell you, packed snow can be a great insulator - think of how bears survive in the winter. The largest snowball fight took place in Seattle in 2013, 5,834 snowball fighters came together to break the record on January 13th. 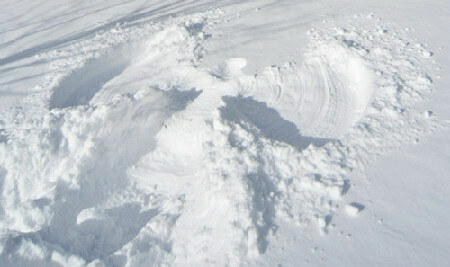 North Dakota holds the record for the most snow angels made in one place, 8,962 dropped to the ground to wave their arms and legs around in 2007. The World's Largest Snowflake was 15 inches across and 8 inches thick, it fell (with a thud!) in Montana in 1887. You've heard that no two snowflakes are the same - but it isn't true! In 1988 a scientist discovered two identical flakes. In 1921 Silver Lake, Colorado had the most snow ever recorded - 76 inches in 24 hours. 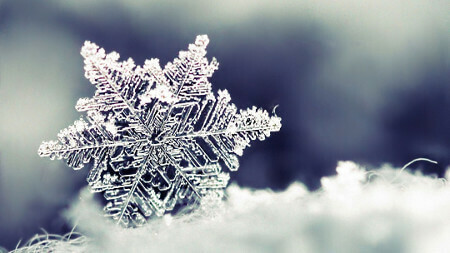 Snowflakes can be different shapes - some are shaped like an hourglass or a spool of thread. 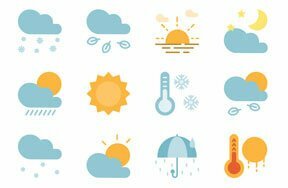 An inch of rain can create ten inches of snow because snow is so fluffy. In Antarctica they have snow formations called megadunes, made from gigantic snow crystals that span .75 inches across. Do you know the difference between a blizzard and a snowstorm? For a snowstorm to officially be called a blizzard, you have to be able to not see past a 1/4 of a mile, and it has to be ongoing for 3 hours or more - this happens when winds reach 35 mph. 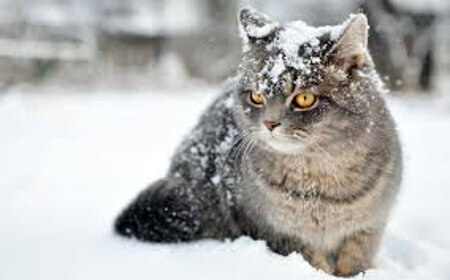 There are 105 snowstorms a year in the US. What do you like most about snow? Let us know in the comments section below!